Perhaps the most hyped technological advancement since the Pyramids, the Siri application has revolutionized phone use significantly. Shipped with the iPhone 4S a couple years ago, the voice activated personal assistant has brought sci-fi intelligent gadgets to the life. 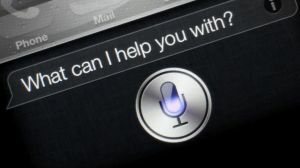 With Siri, an Android smartphone, iPhone user can interact with their phone through voice command and instruct it to do tasks ranging from simple calls to complex messaging or even setting reminders and answering difficult questions. Ever since, developers on android galaxy or tablets, iPhone, iPad touch have been on a race to create a formidable rival to this iOS marvel. So if Siri is what you want, don’t dump your android for an iPhone just yet. Here is a list of top best Siri alternatives for Android and how to download apps that we found worthy of a mention. Available for free download on android, the Skyvi app android siri alternative. Among other things, Skyvi can make a phone call, write a text message, update your social status on Facebook or Twitter and even control your music. Its less robotic voice adds to a more natural feel during interaction, especially when it answers with a witty remark. The good: It delivers fairly swift responses to voice commands and is funny. The bad: A couple complaints on its speech recognition abilities have been raised. Tailored mainly as a road and travel guide rather than a personal assistant, Robin touts itself as the perfect hands free solution to mobile phone use. With Robin, you can easily make calls, text messages, use your GPS and ask questions especially those concerning local information. The good: Perfect for drivers or those on the move who feel lazy to use their hands. The bad: More of a travel guide than an assistant. Andy app is like siri app for android comes in both a limited free and a pro paid version. Like Robin, Andy is more of a productive application than a personal assistant. Its major strength is in answering questions and delivering a vast array of information on various topics in an encyclopedic fashion. It however can still give information on weather, open an app, make a call and watch your stock quotes if you need it to. The good: It is great for those who have always dreamed of having a know-it-all buddy. The bad: You tell us. Another cool android Siri like app, SpeakToIt goes a step further by allowing you to choose the visual qualities of your assistant. And although this does not help much, it is worth a notice. SpeakToIt uses impressive voices from iSpeech to answer your voice commands swiftly and more naturally. Its functionalities range from launching apps, making calls and texting, deliver information, solve math equations as well as connect to various web services such as Google and Facebook. The good: Swift, natural and you get to dress up your smart assistant! The bad: Might have some issues with your calendar. There is a multitude of applications out there that claim to work just like – if not better – than Siri. For some the choice will be made based on how cute their voices are. For others, it will be how well they perform their required functionalities. Whatever the case, please drop us a line and let us know your experiences with these apps or let us know of one we might have missed.